Amniotic fluid is a clear, slightly yellowish liquid that surrounds the fetus during pregnancy. It is a protective fluid for the fetus contained in the amniotic sac. It is composed of water with electrolytes, but by about the 12-14th week the liquid also contains proteins, carbohydrates, lipids and phospholipids, and urea. Amniotic fluid is present from the formation of the gestational sac. Amniotic fluid is present in the amniotic sac. It is generated from maternal plasma, and passes through the fetal membranes by osmotic and hydrostatic forces. When fetal kidneys begin to function in about week 16, fetal urine also contributes to the fluid. The fluid is absorbed through the fetal tissue and skin. After the 20th-25th week of pregnancy when the keratinization of an embryo skin occurs, the fluid is primarily absorbed by the fetal gut. Amniotic fluid protects the developing baby by cushioning against blows to the mother abdomen, allowing for easier fetal movement and promoting muscular/skeletal development. Amniotic fluid swallowed by the fetus helps in the formation of the gastrointestinal tract. Amniotic fluid normally has a pH of 7.0 to 7.5. 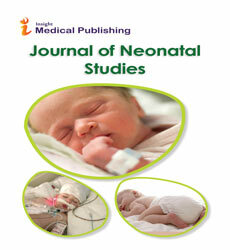 Journal of Reproductive System, Journal of Pregnancy and Child health,Journal of Fertilization,Journal of Pregnancy, Pregnancy Hypertension, BMC Pregnancy and Childbirth.